How to add effects to ts files? As the popularity of HDTV programs on the Internet, TS has become one of popular formats. So, how to play TS files? How to add effects to TS? How to add subtitles to TS? How to convert TS? The full name of MPEG2-PS in DVD program is Program Stream. And the full name of TS is Transport Stream. MPEG2-PS mainly applies in storing program with fixed length, like DVD movies. While MPEG-TS mainly applies in real-time program, like TV programs. The feature of MPEG2-TS is that it can be decoded from any piece of video stream. 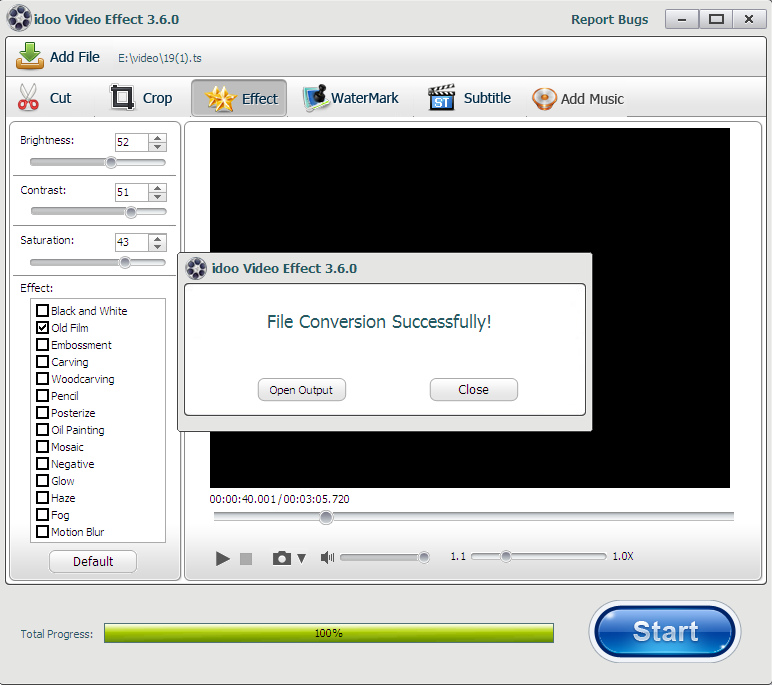 idoo Video Editor can add special effects to TS and encode or decode it, then convert into other popular video formats. Add Effects of idoo Video Editor can help us add effects to ts files. At the same time, here are some other advanced settings for us to choose, as cut, merge, effects and so on. We can adjust brightness, contrast, saturation of TS video. Now, let’s have a look how to add effects to TS. 1Start idoo Video Editor and open "Effects" function to add TS file you want to edit. Then choose which effect you want to add. As shown below. 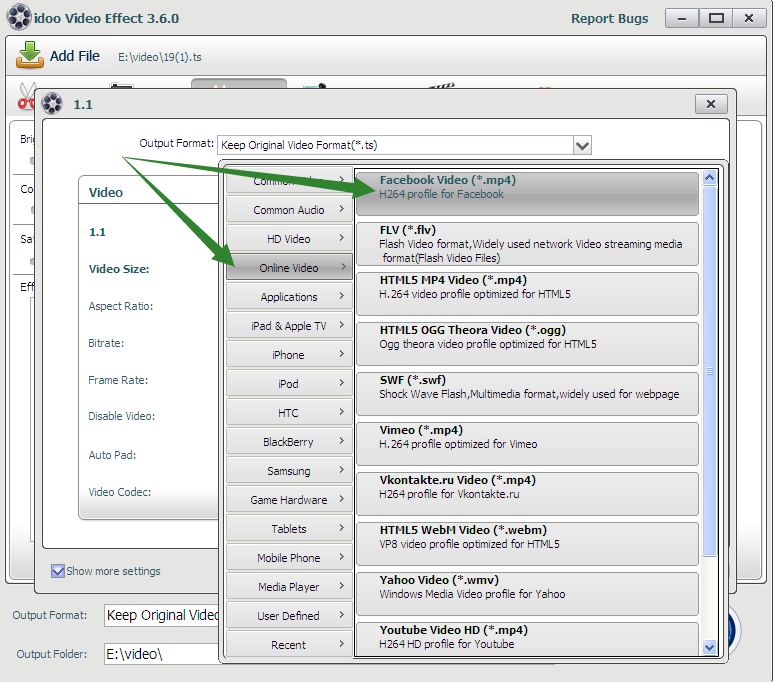 2Choose Facebook Video from Output Settings menu. As shown below. 3Return to main interface. Click Start to edit and convert. As shown below. Article Resources Related To 4K Video Editing And Converting Issues(2019) Seven Secrets About Convert 4K Video To Other Formats The Easier Way To Convert 4K Video To 1080P With High Quality What idoo Video Editor can do for YouTube? What can idoo Video Editor do in Windows 8/7/XP? idoo Video Editor: What Does It Mean to Your Samsung Phone How to edit your videos use idoo editing software? Idoo Editor's Tech specs and reference How to cut and trim videos? What Can I Do for you, iPhone 5 and iPhone 5S? How to set video speed by idoo Video Editor? 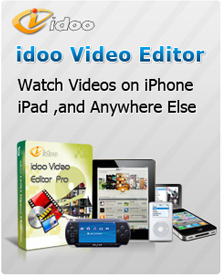 How to edit your videos use idoo editing software? idoo Editor's Tech specs and reference How to cut and trim videos?